Like most beauty editors we know, we’re obsessed with sunscreen (blame it on all those dermatologists we interview). A good broad-spectrum SPF is truly the best anti-aging product you can invest in, and we treat testing all the latest, most advanced formulas like it’s our job — because it is. The truth is, many of the sunscreens we try aren’t that good. They leave white streaks on our skin and stains on our swimsuits; their sticky texture is a magnet for sand; they smell funny. Here, we’ve put together a guide to the SPFs we actually use and love, just in time for the start of summer. “Makeup with SPF never has enough sunscreen to truly protect skin, so I love that my dermatologist created a legit broad-spectrum sunscreen with a touch of color to even out skin all season.” —P.B. “After my husband was treated for basal cell carcinoma two years ago (the story here), he tested dozens of formulas until he found something he liked enough to use daily. The bottle and scent aren’t girly, the formula spreads easily and evenly without residue or shine, and it’s compact, so he keeps one in the car, one in the bathroom, another for his travel kit and in our foyer.” —P.B. “We turn applying SPF into a fun game in our house, so before we leave, we put on our ‘white face paint’ to avoid sun boo-boos. Sam and Miles put a dot of formula on Mommy and Daddy’s noses, cheeks, forehead and chin and help us rub it in. Then we do the same to them, but all over. We love these non-chemical formulas. Purely physical sunscreens (titanium dioxide and zinc) work by reflecting rays away from skin rather than interacting with skin, so you can apply right before leaving the house (not 30 minutes) and they’re fine for sensitive baby skin. Plus, they smell awesome.” —P.B. “I don’t really mind if my sunscreen is a bit sticky or greasy at the beach, but I need something that’s practically invisible for everyday. I’m usually rushing to catch my bus in the morning so this lightweight spray is just what I need for a quick and easy application. The best part? It absorbs so fast that all you feel is soft, supple skin.” —K.T. “I used to love drenching my skin in tanning oil when I was a teen frolicking on the beach in Seaside Heights (yes, the Seaside Heights made infamous by a little MTV reality show called Jersey Shore). It made my skin glow in the sun and helped me get as dark as possible in a short amount of time. Those days are long gone, and I’ve swapped my dark tanning oil for this Supergoop! sunscreen oil with SPF 50 (my go-to for the beach). It gives me luminous skin without being too greasy or sticky, and combines broad spectrum protection with nourishing argan and meadowfoam oils for healthy, happy skin. Plus, the subtle calendula scent is to-die-for.” —K.T. 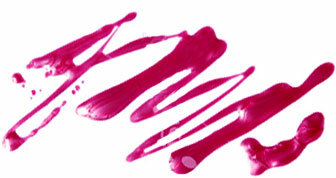 “Lip color without SPF can leave your pout exposed to sunburn – not fun. That’s why I keep this broad-spectrum citrus balm in my beach and my everyday bag. It’s super nourishing and leaves my lips supple without any trace of glossiness. But beware, it’s kind of addicting.” —K.T. “I’m rationing my last drops of this face sunscreen because it’s the only one I’ve tried that plays well with my oily, blemish-prone skin and my foundation. The texture is slightly mattifying, which I appreciate during the hot, New York summer. And since the only active SPF ingredient is micronized zinc, it’s perfect for sensitive complexions and never leaves a whitish cast.” —W.R. “This mousse-like sunscreen is my go-to for non-beach days, since it doesn’t leave my skin sticky and is easy to apply on my exposed arms and legs without getting any on my clothes. It came out last year, but I still can’t get over the novelty of foaming SPF. So fun!” —W.R. “I like the idea of spray-on sunscreens (so easy! ), but most of them feel like I’m coating my body in Pam cooking spray (so greasy!). This new one from Shiseido — who consistently make sunscreens that feel really great on skin — is so lightweight, I can’t believe it actually works. But it does!” —W.R.